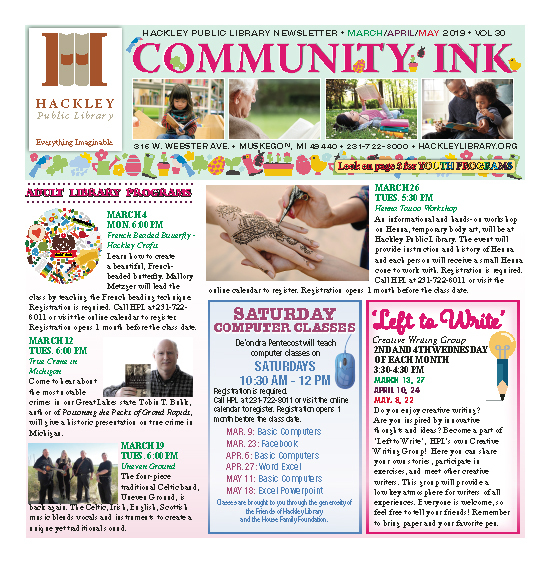 Community INK the bi-monthly newsletter for Hackley Public Library. 16,000 copies are direct mailed to households in Muskegon County. Each issue of Community Ink informs readers about up-coming book signings, special classes, after school activities for students, and programs to enhance the lives of our community. Support Community Ink and deliver your message at a fraction of the cost to produce your own direct mail piece.